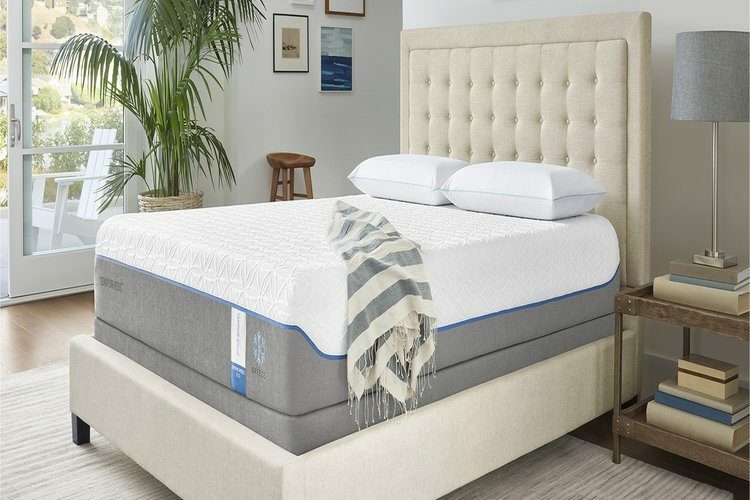 The TEMPUR-Cloud® Luxe Breeze has a plush, luxurious feel to it and uses special technology to fight heat retention and provide a cool sleeping temperature. Overall, the TEMPUR-Cloud® Luxe Breeze Mattress is a good choice for people who want a plush memory foam feel and tend to sleep hot. If you have the money to spend and want a mattress that will last you for years to come, this could be worth a try. The TEMPUR-Cloud® Luxe Breeze has a plush, luxurious feel to it and uses special technology to fight heat retention and provide a cool sleeping temperature. It is, however, very expensive. In this article, we’ll help you decide whether it’s worth the investment. Tempur-Pedic started the memory foam craze back in the 90s, supplying luxurious beds with a new and unusual construction. They remain a wildly popular brand today and have earned a large following by supplying quality mattresses on a consistent basis. Tempur-Pedic mattresses are considered some of the most luxurious beds out there and user reviews have been very positive, especially with people who were looking for pain and tension relief. The memory foam giant has a ton of models available, but we’ll be focusing on the Cloud Luxe Breeze today. You love memory foam and want a plush bed: Memory foam beds come in all levels of firmness, but the Luxe Breeze is known for being soft and plush. You should not only know you love memory foam but also be ready for a soft bed before committing to this mattress. Please keep in mind that how firm a bed feels will also depend on the sleeper’s weight. You have issues with sleeping too hot: While memory foam is known for sleeping hotter than other mattress materials, the Luxe Breeze Mattress was designed specifically to combat heat retention problems. If you have issues with waking up hot and sweaty in the night and your sleep suffers because of this, this mattress could be a positive change for you. You sleep on your side: Side sleepers do well with softer mattresses because a plush surface cradles the knees, hips, and shoulders, where the sleeper’s weight is concentrated in that position. If you sleep on your side, you’ll likely find the Cloud Luxe Breeze a comfortable mattress. You’re of average or lightweight: People who are of average weight should experience this mattress as soft, whereas sleepers who are lighter than average might find it firmer. Overweight individuals may want to steer clear, though, because the soft Luxe Breeze might not give them enough support. If you are carrying some extra weight, you may want to consider the Contour Rhapsody Luxe by Tempur-Pedic or look specifically for a mattress for heavy people. The Cloud Luxe Breeze has the same level of firmness as the Cloud Luxe model by Tempur-Pedic, which is about a 4.5/10, and both are among the softest available mattresses from this brand. The top layers on the bed are below average in firmness and will allow you to sink into the mattress a fair amount, particularly if you’re heavy. The bed has a soft, comforting feel and, as your body sinks in, this contouring effect may provide pressure relief. This is worth keeping in mind if you suffer from aches or pains throughout your body. 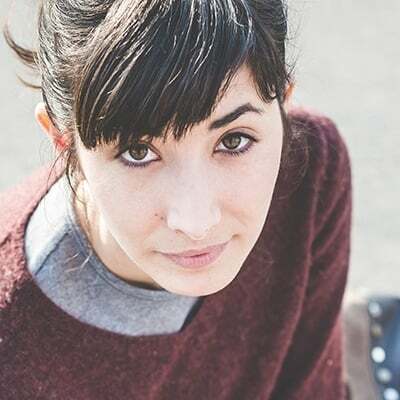 Note that the company mentions that this mattress needs a few weeks to break in and for your body to adjust to the mattress and, at first, it might feel firmer. Since this mattress is plush and soft, back or stomach sleepers may not do so well on it since their pelvis may sink in too much and cause lower back pain. Again, it’s good for side sleepers and may also work for side/combination sleepers. The TEMPUR-Cloud® Luxe Breeze Mattress is an all-foam bed and doesn’t use any coils or latex in its construction. Tempur-Pedic doesn’t share too many details about their proprietary materials, probably for the sake of staying competitive. Let’s take a look at the layers of this mattress in a bit more detail. The Cover: The Cloud Luxe Breeze cover is made with cotton and doesn’t have a pillow top or foam quilted into it. The cover’s thin design allows your body to react to the memory foam below immediately. The Comfort Layer: The top layer of the Luxe Breeze pulls heat from the body to create a cooling sensation using only memory foam infused with PureCool™, a proprietary material from Tempur-Pedic. The Climate Layer: Next is another foam material made from the company’s breathable TEMPUR-Climate™ material, designed to cool the body and evenly distribute the sleeper’s weight. The Foundation: Last is the Tempur-Pedic core foundation made from 7-pound memory foam, the heaviest and sturdiest available. This gives the mattress its shape and provides support for the sleeper. Tempur-Pedic offers a Cloud Luxe Mattress and the Cloud Luxe Breeze is basically the same bed with extra cooling technology added. The cover is made of a more breathable material that keeps the body resting at a comfortable temperature, while the memory foam used in the bed also has cooling technology added. Again, Tempur-Pedic doesn’t specify what they use to create this cooling effect because it’s proprietary information, but whatever they’re using works according to user reviews. Perhaps one of the most mentioned benefits to a Tempur-Pedic mattress is their ability to absorb motion. This is made possible by the dense, high-quality foam used in their beds. If you have a partner who tends to toss and turn in the night, this should keep you peacefully resting without disturbances. The TEMPUR-Cloud® Luxe Breeze Mattress has pronounced sinkage since this is the softest Tempur-Pedic model available. But you’ll notice that it also has a supportive feel due to the quality foams and you won’t feel like you’re bottoming out, which can happen with cheaper beds. The Cloud Luxe Breeze is again, a mattress with a soft and plush feel. The surface of the bed is very slow-responding and provides sinkage, contouring, and quality pressure relief. The mattress creates balanced sinkage for bodily alignment, but again, remember that this will likely work best for side sleepers or people who don’t weigh much. Tempur-Pedic has a Conformity Certification to show that they follow the Federal Flammability Standard. While there used to be common reports of off-gassing (a chemical smell) with older Tempur-Pedic models, this is less of an issue now. Tempur-Pedic appears to have addressed this problem and deliver their beds uncompressed, which takes care of the smell. Overall, compared with bed-in-a-box mattresses that come to your door compressed and sometimes have a strong smell after you open them, the TEMPUR-Cloud® Luxe Breeze shouldn’t have significant off-gassing. It’s no secret that Tempur-Pedic Mattresses are expensive and the Cloud Luxe Breeze is among the costliest of all their models. A Queen Luxe Breeze is currently going for $4,800, so this is definitely an investment you want to think over carefully. Tempur-Pedic is able to charge this much because they use high-quality materials that provide amazing results for sleepers. This is definitely a luxury mattress with a luxury price tag to match, but people who can afford it and know they love soft memory foam beds will likely feel that it was money well-spent. Every Tempur-Pedic mattress is covered by the company’s 10-year limited warranty. If you purchase the Cloud Luxe Breeze, you’ll get a 90-night sleep trial period. If you decide you don’t like the bed after trying it out for 90 nights, you may exchange it for a different Tempur-Pedic Mattress. Just keep in mind that if you decide to do this, there will be some fees involved in the exchange process. Q: Why are Tempur-Pedic beds so expensive? A: Tempur-Pedic was the first brand to use memory foam in their mattresses. They developed this technology specifically for their customers’ comfort and used high-quality materials to build themselves an amazing reputation as a business. People are usually willing to pay higher prices for trusted brand names and Tempur-Pedic products are known to help provide relief for body pain. Q: Is the Cloud Luxe Breeze appropriate for mobility issues? A: Mattresses made with latex or memory foam can help with pain according to user reviews. Certain physical issues, like back problems or arthritis, may be especially helped by the cradling pressure relief provided by the Luxe Breeze. People with knee problems, however, will want to make sure they use the bed with a high bed frame to minimize bending, which can worsen pain. Q: How long will the Cloud Luxe Breeze Mattress last? A: Tempur-Pedic mattresses are known for lasting a long time and some customers report that they’ve used theirs for more than 10 years. This is due to the quality foams used in the bed, which degrade slower than other mattress materials. Although this mattress is definitely expensive, it may be a worthy price to pay when you consider how long you can expect to keep it. Q: Can I order the TEMPUR-Cloud® Luxe Breeze if I live outside of the U.S.? A: Anyone who lives in the United States can order this mattress, although people in remote locations may have to pay extra charges. People who live outside of the United States, on the other hand, will have to check www.tempur.com to see if they can get this bed delivered to their country. Q: Is it possible to get this item for a discounted price? A: Tempur-Pedic has moved their business to an online sales model which has allowed them to reduce their prices with some products. The company is always changing which mattress models they feature for sales, so keep an eye on this to find out whether you can get the Cloud Luxe Breeze at a discounted rate. Overall, the TEMPUR-Cloud® Luxe Breeze Mattress is a good choice for people who want a plush memory foam feel and tend to sleep hot. If you have the money to spend and want a mattress that will last you for years to come, this could be worth a try. Although Tempur-Pedic can be fairly secretive when it comes to the exact materials used in their beds, users report good experiences with these mattresses. While off-gassing used to be a problem with Tempur-Pedic, the brand has addressed this issue and it shouldn’t be a problem now. Just remember that, if you purchase the TEMPUR-Cloud® Luxe Breeze, the bed may work better for the side sleeping position than back or stomach sleeping. Also, keep in mind that this bed will feel softer the heavier you are and that lighter people might even find it slightly firm. Memory foam beds are among the priciest options on the market, so you’ll definitely want to make sure you already know you like this feel before you buy. What else should you consider when you’re shopping for a memory foam mattress? Firmness: Although memory foam is known for providing a melting, contouring hug, this type of bed comes in all degrees of firmness. Before you choose the right memory foam mattress for you, you’ll need to know how firm you want your bed to be. In general, softer mattresses work well for the side sleeping position, while medium firm suits all positions, and firm beds are good for stomach sleepers because they provide proper support for the hips. Cooling Technology: Memory foam was once known for retaining heat, which made it a bad match for hot sleepers. However, many modern mattresses use specific cooling technology to combat this. Open cell foam, moisture-wicking covers, and cooling gel are all features of modern mattresses that keep the sleeper resting comfortably. Motion Absorption: Memory foam is the best of all mattress materials at absorbing motion disturbances. If you sleep light and have a pet or partner, this will be a very welcome feature, as being woken up repeatedly in the night can lead to exhausted, unproductive days. Contouring: As mentioned, memory foam beds can have varying levels of firmness. If you really favor the deep cradling sensation of memory foam, you should probably go for a soft or medium-soft version since firm beds may not provide as much of this. Durability: When you’re spending the money to get a memory foam mattress, you’ll want to make sure it’s a quality model that’s known for lasting a long time. Buying a new mattress is a big decision, so the longer you can keep a new one, the better. PrevPrevious6 Best Bamboo Pillows of 2019: Should You Invest in a Cool, Contouring Pillow Made with Natural Fibers?